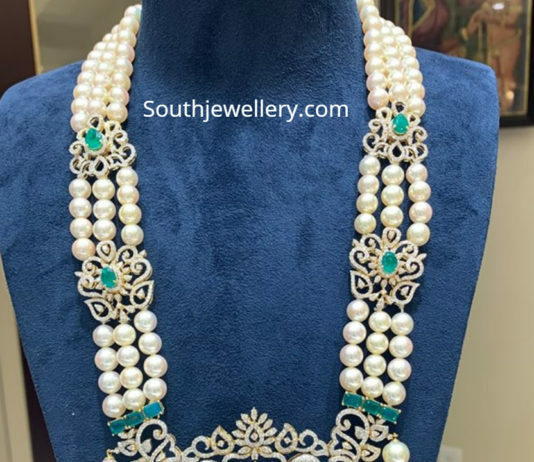 22 Carat gold antique choker adorned with emerald beads; south sea pearl and emerald beads mala with puligoru pendant studded with polki diamonds by Harini Fine Jewellery. 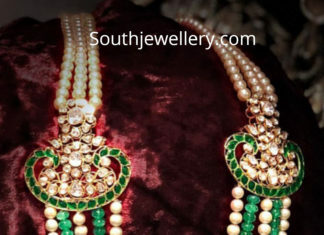 22 carat gold four line south sea pearl mala with jhumki side pendant adorned with cz stones and emeralds by Parnicaa jewellery. 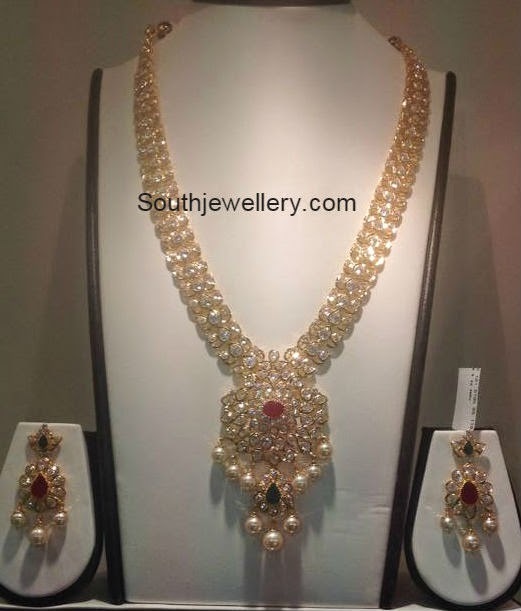 South sea pearl and emerald beads layered mala with polki diamond side pendants by Kishandas Jewellery. 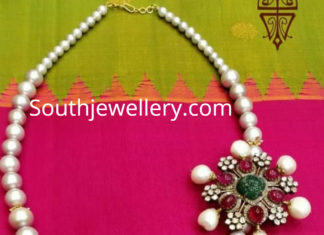 South sea pearl necklace with floral side pendant studded with rubies, emerald and polki diamonds by Arnav jewellery. 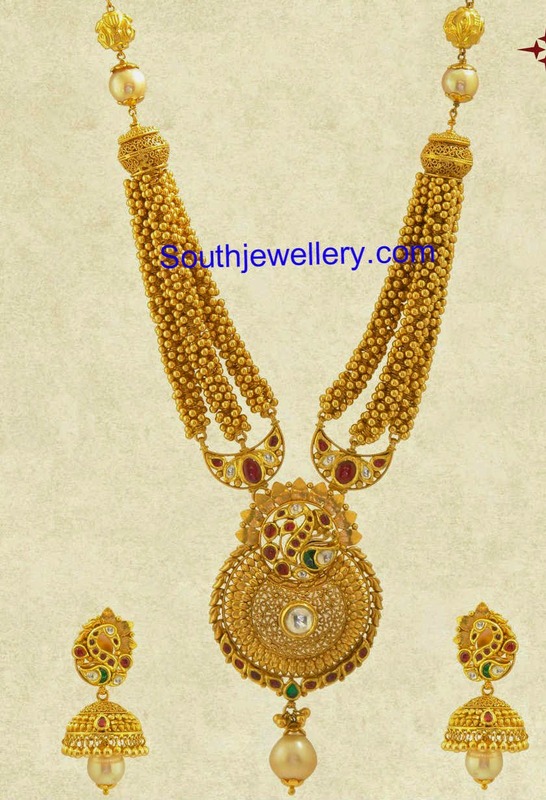 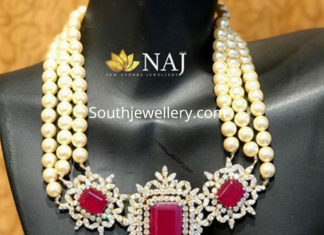 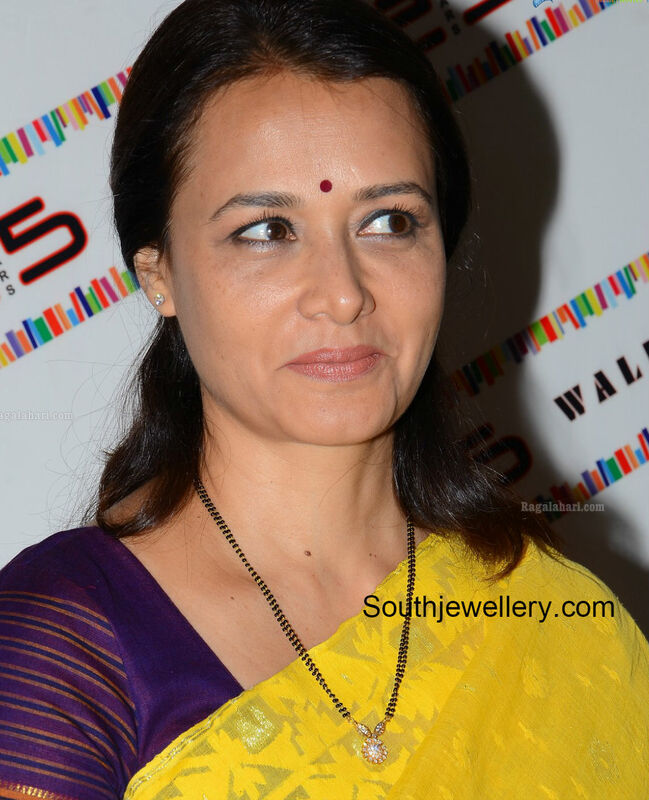 Three line south sea pearl necklace with cz ruby pendant by Naj jewellery, Nellore.